Maps Worldwide | BlogMapsDrivingAre you going to Italy? Are you hiring a car? This is a cautionary tale of woe for visitors driving in Italy that could have been avoided with a £9.00 map! Isn’t that beautiful? 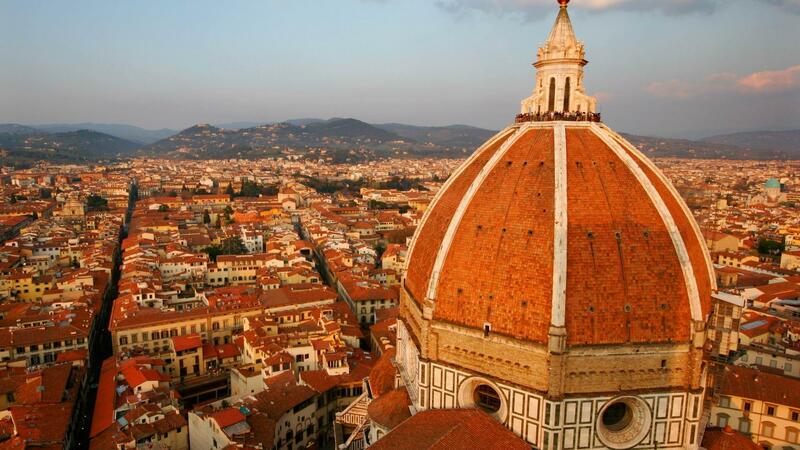 Once of the most famous views in the world and our lovely accounts lady and her husband certainly thought so when they booked a touring holiday in Italy in July 2017. They hired a car from the UK, booked their hotels and, in most cases, booked and paid for parking at the hotels, in various cities, in advance. They wish they’d also thought to buy Touring Car Italiano City Street Maps (the Italian equivalent of AA) for the cities they were visiting because it would have saved them over £500.00. Last summer, June 2018, they received the first ‘Item for you’ card from Royal Mail for an item which required a signature for delivery. They duly attended the Delivery Depot and signed for what would be the start of several envelopes which looked like this. 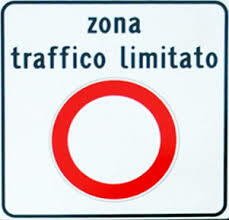 Unbeknownst to them, they had managed to drive into a ZTL “Zona Traffico Limitato” which is designed to reduce traffic in Italy’s cities. Worst still, in most cases, they had no choice but to drive in these zones to reach the hotels and the parking they had pre-booked and paid for and the hotels had neglected to tell them they would need a permit to drive in the ZTL to get to the parking. This failure to advise guests of the legalities of using their parking seems to be a common theme across hotels in Italian city centres since the couple received fines from every city they stayed in or visited on their two week holiday. 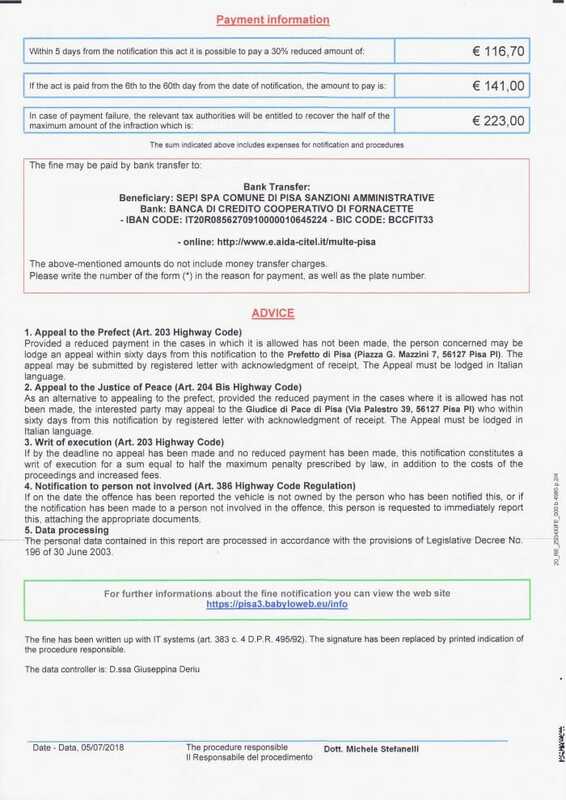 The fines are also significant at €116.70 (£100) which must be paid within 5 days and increases significantly after that. In addition, unlike traffic fines in the UK, they can arrive at any time after the office and in the case of our couple, were arriving 12-15 months after they visited. 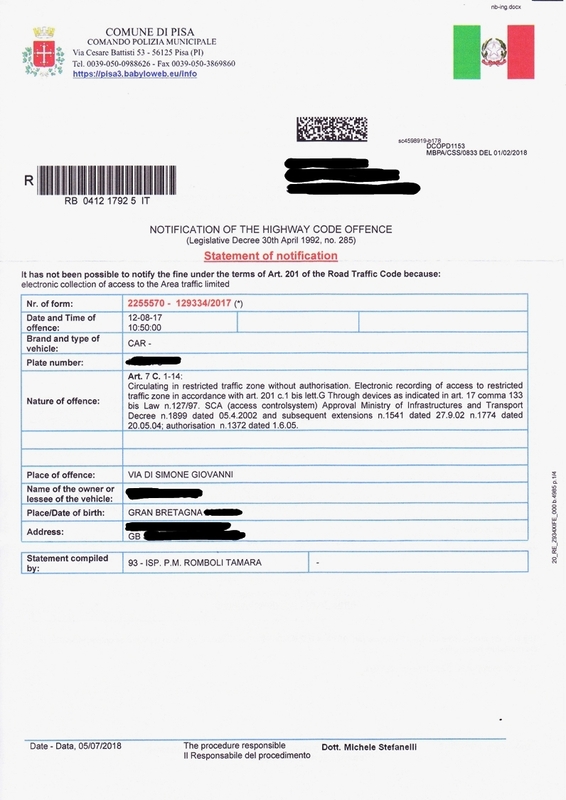 In total, they received four fines; two from Florence, one from Pisa and one from Bologna and the kick in the teeth is that the Italian Police obtain your details from the car hire company who then charge you an admin fee of £25.00 per fine for providing your details to the Italian Police for each offence. ZTL signs can be, and often are, on one-way streets so you can’t turn around and avoid them. Sometimes, they have a time of day when they are active. Sometimes, there are specific classes of vehicles to which they do or don’t apply. Occasionally, they have red and green traffic lights on them for when they are and are not active. Hotels are very bad at notifying visitors that they and/or their parking are in a ZTL even if the prospective guest books parking in advance. SatNavs do not include ZTL boundaries! The good news is that our couple did return to Italy in August 2018, flying into Bologna. They did hire a car but despite being aware of the problems and being extremely vigilant looking for ZTL signs they’ve just received notification from the company they hired a car from that, once again, they have had to pass on their details to the local police in Bologna so now they are awaiting yet another fine.